Israel will gain nothing from a new military attack on the Gaza Strip, former Israeli Commander Shlomo Turgeman said. Turgeman warned that the occupation of Gaza would mean taking responsibility for the lives of two million Palestinians. He stressed that Israel would not accept this “even if Gaza was served on a golden plate” as this would be a greater financial burden and an economic disaster for Israel. According to Turgeman, a new military operation against Gaza could flare up the Syrian and Lebanese fronts. “Even without the involvement of these fronts, a military confrontation with Gaza will not be in favour of Israel,” he warned. Such a confrontation would be complicated and might lead to the deterioration of the situation in the occupied West Bank, he added. A Turkish medical delegation yesterday arrived in the besieged Gaza Strip to help treat Palestinians wounded by Israeli occupation forces, the Anadolu Agency reported. The delegation consists of seven people, including two members of management and five doctors. 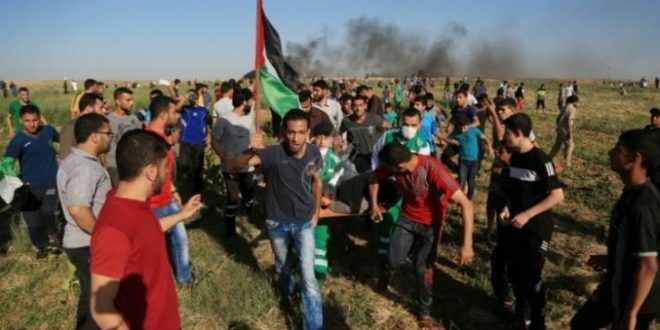 “They will offer their help, support and training for the Palestinian doctors in addition to carrying out surgical operations for the wounded at Al-Shifa Hospital in Gaza,” a member of the organising team said. There are a number of government and non-government Turkish organisations working in Gaza. They offer a variety of help for Gaza residents, where more than two million Palestinians have been living under a stifling Israeli siege. Israeli soldiers invaded, Monday, Masafer Yatta area, south of the southern West Bank city of Hebron, and handed a demolition order of one home, in addition to delivering another order for the removal of mobile homes, which are used as a make-shift school. Rateb Jabour, the media coordinator of the National and Popular Committees, said the soldiers handed Mohammad Ali Dababsa an order for demolishing his home. He added that the home, built with light bricks and tin, is on his land in Khallet ad-Dabe’ area, in Masafer Yatta. In addition, the soldiers, personnel of the Israeli “Construction and Planning Committee” in the occupied West Bank, and members of Rigafim extreme right-wing colonialist organization, handed orders for the removal of mobile homes, which were installed a few days ago, to serve as a local school for children in Khallet ad-Dabe’. Also Monday, the soldiers invaded Barta’a ash-Sharqiya town, west of the northern West Bank city of Jenin, and summoned the owners of twelve Palestinian homes and five stores, for interrogation in Beit El, near Ramallah in central West Bank, allegedly for building without permits. Several Israeli military vehicles raided the eastern borders of the besieged Gaza Strip on Monday morning. 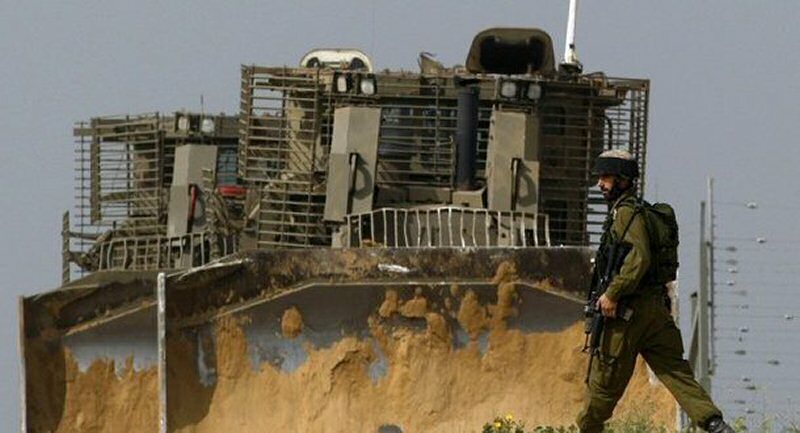 Locals said, according to Ma’an News Agency, that six Israeli military vehicles raided into the area near the eastern borders of Gaza City, razed and leveled lands while Israeli forces were putting up a security fence from inside the borders. Earlier today, a number of Israeli military vehicles raided into Al-Breij refugee camp in the central Gaza Strip. Four large D-9 Israeli military bulldozers reportedly entered dozens of meters into lands near the “return camps” as drones flew overhead. Military bulldozers began razing lands and setting up a security fence; no shootings were reported. 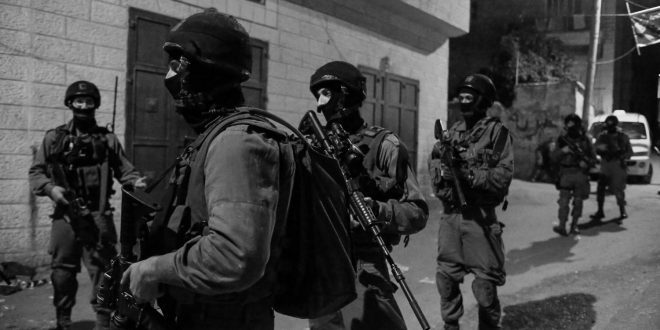 Israeli Occupation Forces (IOF) on Monday overnight arrested 15 Palestinians in raids on areas all over the West detained. The Palestinian Prisoner’s Society (PPS) said in Nablus, IOF detained a former prisoner after storming his family home. IOF also detained three Palestinians after breaking into and raiding their homes in Beita town, southeast of Nablus. Meanwhile, forces conducted a raid into Silat al-Harithiya village, northwest of Jenin, detaining a Palestinian. They also raided al-Yamoun town, west of Jenin, where they detained and beat a Palestinian after ransacking his family home. Another was detained during a similar overnight raid into Yaabad town, west of Jenin. In Tulkarem district, forces raided Tulkarem refugee camp, where they detained two Palestinians. Forces also detained a former prisoner from Rafat town, west of Salfit city. Two other Palestinians were detained during separate predawn raids into al-Mughayyir village and al-Jalazun refugee camp, northeast and north of Ramallah city. In the southern West Bank, Israeli troops raided Halhul town, north of Hebron city, where they rounded up three Palestinians. This was made to make it easy for Israeli Jews to kill Arabs and Palestinians. Extremist Israeli Public Security Minister Gilad Erdan issued on Sunday his directions to offices of his ministry to increase the number of gun licenses for Israeli Jews. This way, Israeli media said, he gives a chance for hundreds of thousands of Israelis to carry guns and thus increase crime rates. 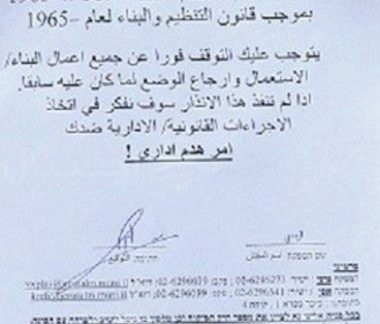 According to the directions, conditions for obtaining a gun license are to be eased based on a proposal Erdan offered to the Knesset in October 2016. Israeli newspaper Haaretz reported that official statistics stated that 145,000 Israelis have licences to carry guns. The reduced conditions stipulate that applicants for gun licenses should be over 21 years, be in good health, be reserve officers, have served in the Special Units, farmers, tourist guides and paramedics with a preference given to settlers who live in illegal settlements or Israelis living in border areas. After the new facilitations, the ministry estimated that between 35,000 and 40,000 new Israelis would benefit from the relaxing of the laws. Banning the Palestinian TV channel is an attempt by Israel to ‘hide its crimes’ against Palestinians. Extremist Israeli Defence Minister Avigdor Lieberman banned on Monday Palestinian Al-Quds TV channel. In a decree signed on July 3, Lieberman said the ban was based on the Israeli anti-terrorism law. Under the decree, the channel will not be broadcast inside Israel. The decree did not give a reason for the ban, but the Israeli authorities accuse the channel of being a propaganda tool for the Palestinian resistance group Hamas. Al-Quds TV channel broadcasts from Lebanon and has correspondents in Gaza, the occupied West Bank and Jerusalem. Palestinian journalists’ groups condemned the ban of the Palestinian TV and accused the Israeli occupation of racism and practicing media black out in an attempt to “hide its brutal crimes” carried out against the Palestinians.